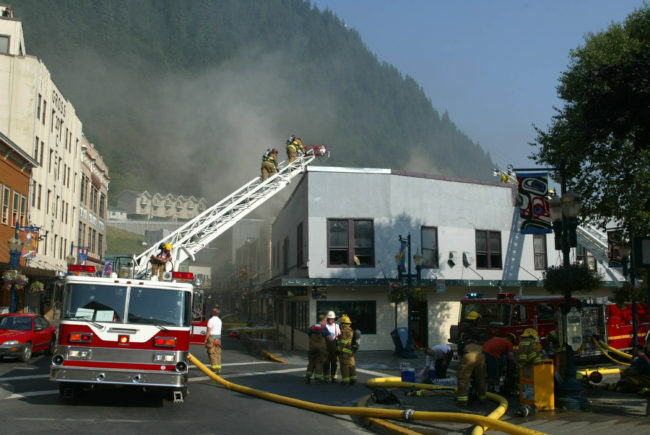 In 2004, an awning patch-job went bad and led to a fire that razed a historic commercial building in the heart of downtown Juneau, where the grand opening of Sealaska Heritage Institute’s Walter Soboleff Building will happen Friday. In its 108-year history, the two-story, wood-framed building at the corner of Front and Seward streets had gone by many names: The C.W. Young Building, Rusher’s Hardware, the Skinner Building, the Endicott Building and the Town Center Mall. Oke and Robert Rodman were keeping shop at Percy’s Liquor Store across the street that Sunday afternoon in August 2004. They saw a couple of guys on top of the awning working with tar and a torch. “I knew it’s bad idea,” Oke Rodman says. “Well, once they started running around looking for a fire extinguisher, it seemed like a bad day,” Robert Rodman says. Juneau fire chief Rich Etheridge was fire marshal and acting chief at the time. 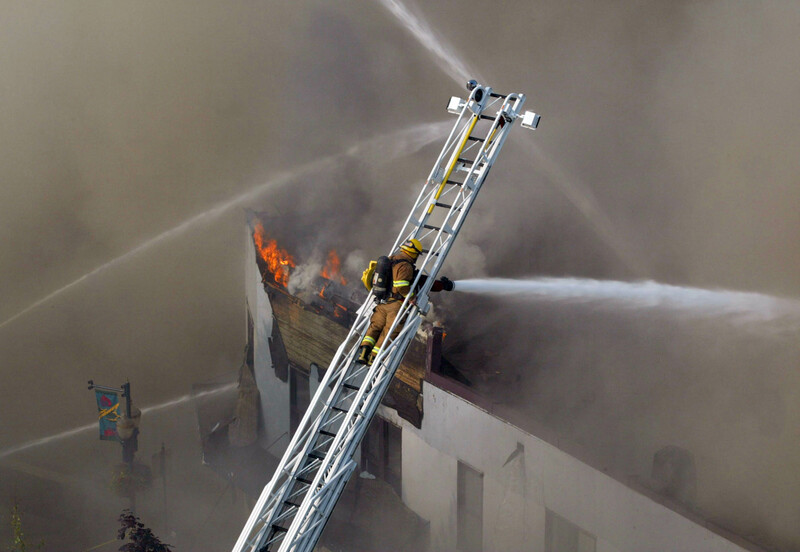 When he arrived, he saw smoke rising from one corner of the building, but no open flames. The fire was burning inside the walls. With a firefighting crew inside, the building filled with smoke floor to ceiling. Open flames at the 2004 Skinner Building fire weren’t very apparent, but it dumped smoke everywhere. Fortunately, he says there were no serious injuries. “It was a big, big wave of relief after they called back in on the radio, said they were fine,” he says. Etheridge put a crew on the roof, hoping to cut a hole in it to let the heat and smoke escape instead of spreading through the building. But that plan was foiled by multiple roofs, layered on over the years. Meanwhile, the windless, dry weather kept much of the smoke at street level. He says downtown Juneau reminded him that day of eerie scenes in New York City on 9/11. He shut down and evacuated several downtown blocks, and the cruise ships left early. 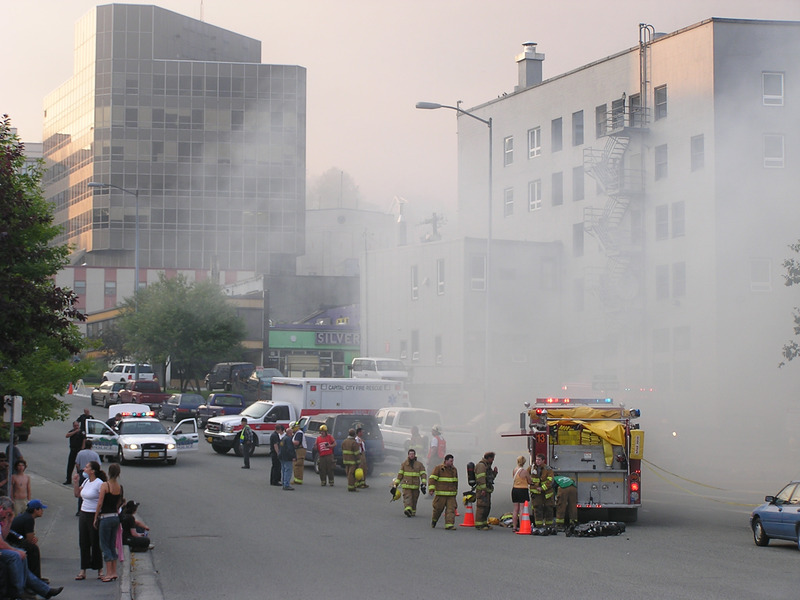 Smoke fills the streets of downtown Juneau as the historic Skinner Building burns, Aug. 15, 2004. Hand tools weren’t cutting it. And it still wasn’t clear where the fire was in the building. “There wasn’t a lot of active, open flame that you could see, it was just lots and lots of smoke, and all the flames were concealed where it was real difficult,” he says. So Etheridge brought in an excavator to peel the walls down and keep the fire from spreading to other buildings. 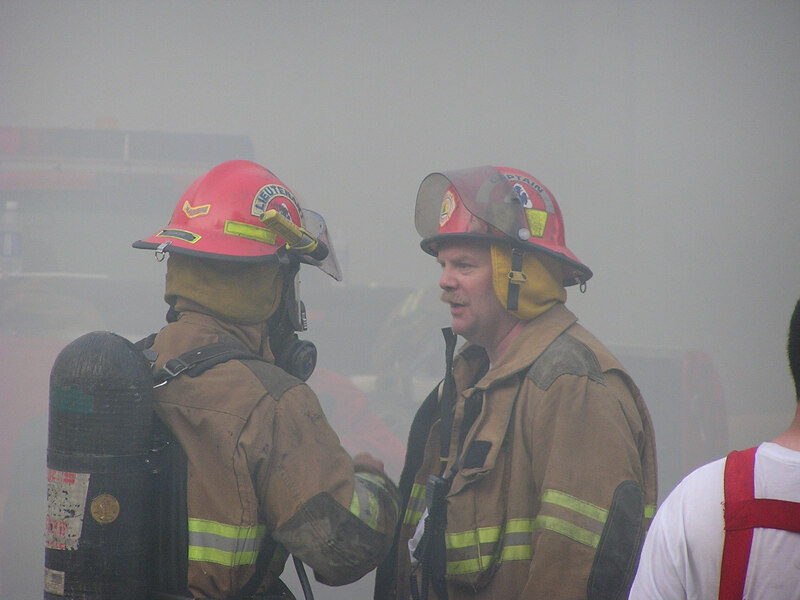 By the next morning, just about every firefighter in town had worked the blaze. When the smoke cleared, the second story was gone. 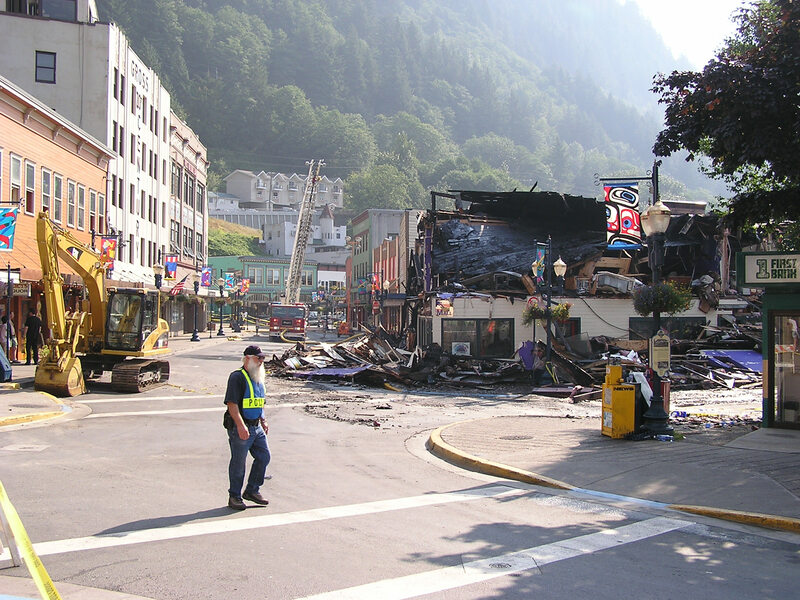 Rubble from the 18 businesses that occupied the building was all over the streets. The site was cleared by December that year; debris with asbestos in it had been scooped out to below street level, and a new eyesore was taking shape. 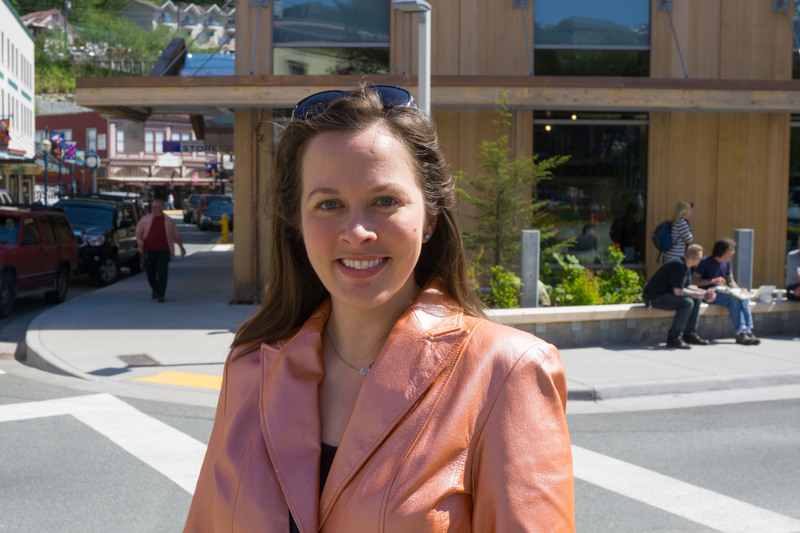 Candice Bressler moved to Juneau in 2009. In early 2010, Bressler and other United Way volunteers started a public advocacy campaign for a solution. They started a Facebook page called “Fix the Pit.” Almost overnight, it drew hundreds of fans. 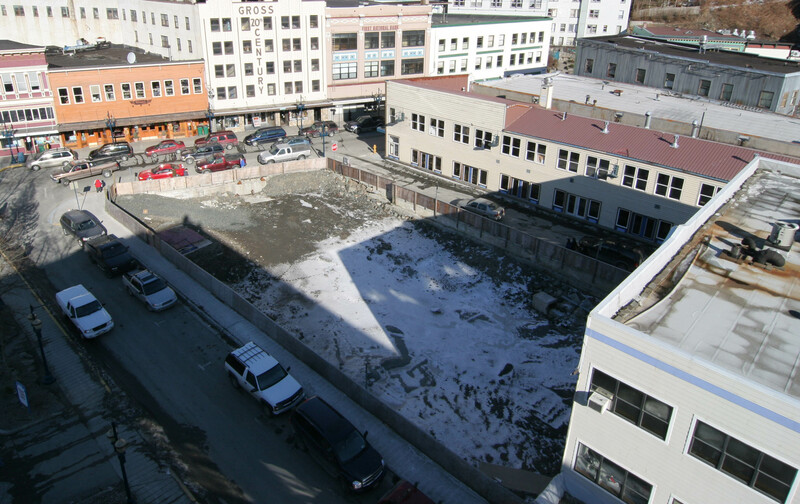 About that same time, city officials threatened the lot’s owners with a six-figure lawsuit, not because of the eyesore, but because the pit was literally undermining the city’s surrounding sidewalks, curbs and streets. Before it went to court, Sealaska Corp. stepped in paid $800,000 for the 9,500 square-foot lot, which is across the street from its headquarters. 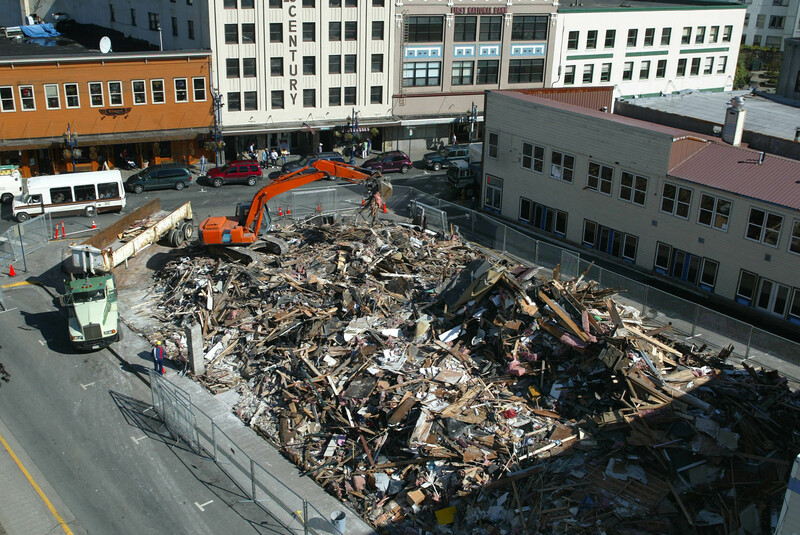 Sealaska filled the pit and addressed the city’s issues. When temporary landscaping went in, Bressler declared the pit fixed. 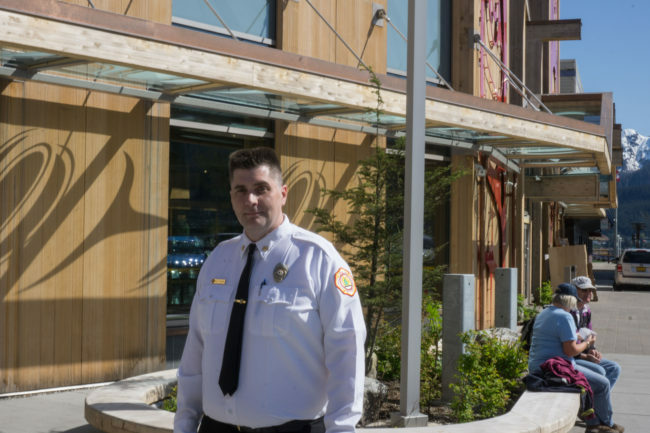 It’s been more than 10 years since the fire, and Sealaska Heritage Institute’s new cultural center is just opening at the corner of Front and Seward streets. “I think it’s sad that such an eyesore existed for so long. 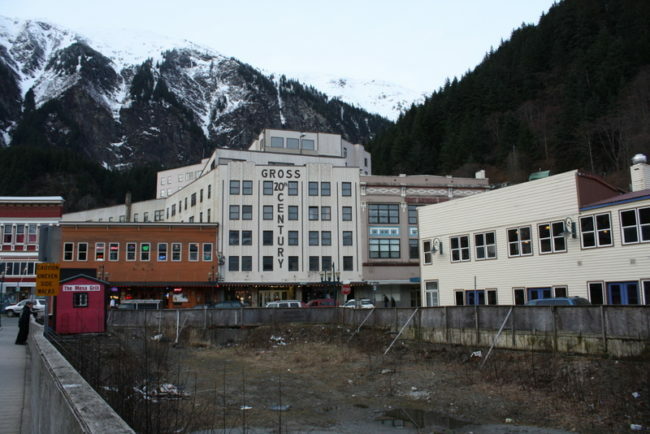 And I think it’s sad that millions of tourists got to walk past it over the years and see, basically, what people called the Ground Zero of Juneau,” Bressler says. Standing outside the new Walter Soboleff Building, Bressler wasn’t so bleak. “Just looking at this magnificent building. Just, it’s so spectacular to look at. And just to see that it’s filled with beauty and with development and with culture! So exciting,” she says. 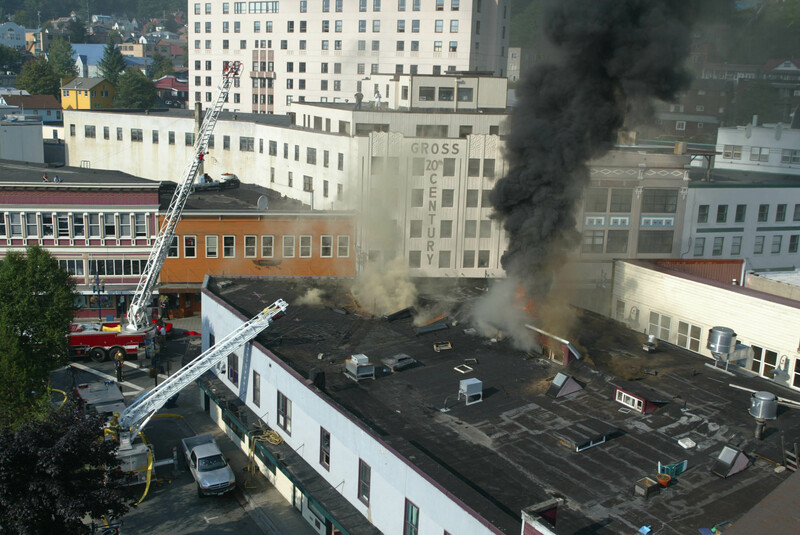 Just down the street in another prime downtown spot, the husk of the Gastineau Apartments still stands after a 2012 fire. If the recovery timelines parallel, it’ll be about 2023 before something new opens its doors there.